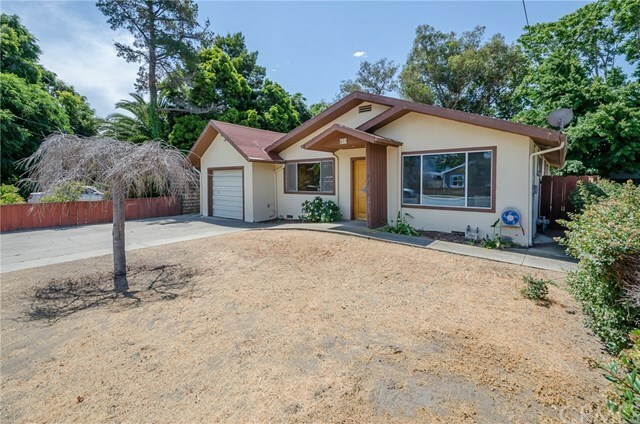 So much to offer at this great location in a popular neighborhood area of SLO. Possibilities are endless since this is an R-2 zoned lot, check with city for options. Four bedroom, two full bath home currently offers a scenic view of San Luis Mountain, a single car garage, 1500sf of living space, oak cabinets and tiled countertops in the kitchen with a must-see pantry. Vaulted ceiling in the living creates a spacious feel. Completely fenced huge rear yard includes an oversized deck (some bedrooms have deck access), outdoor sitting areas, storage shed, garden beds, landscaping, two fruit trees (orange and plum) plus it has wheelchair access from the rear deck to the yard with concrete pathway for ease of use. Laundry hookups are in the garage "information not verified"